Solvang Flavors in Solvang, California will soon be displaying the flavors of Essendorfer Genussschmelzerei in their beautiful new shop in the quaint Danish Village near Santa Barbara. They are affiliated with Solvang Olive Press, located across the street, offering high quality olive oils and balsamic vinegars. Solvang Flavors is a cafe with gelato and tasting room offering a menu of tastings of high end specialty foods, including a dozen different flavors of Essendorfer sauces and pestos. 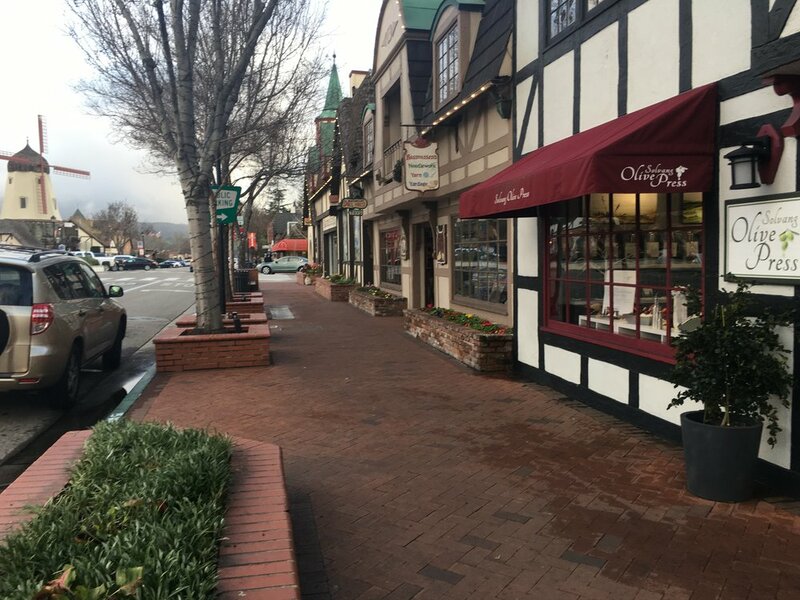 We hope that when your travels bring you to the Central Coast of California, you will stop by Solvang Flavors and the Solvang Olive Press and enjoy some of their tempting offerings. Whether you’re hungering for the excitement and nightlife of Las Vegas, the adrenaline rush of skiing or snowboarding on fresh powder at Jackson Hole, or the regenerative and inspirational effects that Sedona has to offer, they all share a common bond: they are gourmet food destinations with incredible restaurants and home to “Spirits & Spice”, a high-end specialty food and beverage purveyor. We are especially proud that the flavors of Essendorfer Genussschmelzerei are being showcased in such prominent specialty stores as Spirits & Spice. We hope that when your travels bring you to Las Vegas, Sedona or Jackson Hole, you will wander in and luxuriate your senses. Spirits & Spice at the Venetian Grand Canal Shoppes, 3377 S. Las Vegas Blvd, located between TAO Bistro and It’s Sugar. Announcing a new store on board!! We are proud to announce that “On the Mark Fine Food and Provisions” located at 777 N. Palm Canyon Drive in Palm Springs now carries a selection of Essendorfer Sauces and Pestos. Not only does this specialty market carry some of the best sauces, pestos, olive oils, vinegars, jams and wines, they also have a great selection of cheese and pate. It’s an upscale market for foodies in search of a special fix, not available in regular markets. On the Mark is also known for quality sandwiches and artistically presented cheese and charcuterie boards. Nirvana for foodies is just a two-hour drive from San Diego or Los Angeles! We were thrilled to have been at the Fancy Food Show with the Essendorfer team from Germany. This is a food show open only to the specialty food trade and was great exposure for us to show off our products with tastings to potential buyers. We were in the International Pavillion and sponsored by the Ministry of Agriculture of Bavaria. It was a exhilarating to see so many chefs and food industry professionals as enthralled as I am with this product and thinking this may actually be the best thing we’ve ever seen or tasted. It was also an incredible experience getting to meet and share a laugh with Chef Robert Irvine of the Food Network. Here are some of the biggest trends we observed at the show. The NRA did not simply showcase products and services from the United States. The show was well represented by exhibitors – and attendees – from a variety of locations, including Germany, Japan, China, India, Italy, Mexico, Greece, and others. Germany’s Essendorfer’s display included a pyramid of jams and jellies, with unusual products such as apricot passionfruit.